Hi,I'm Ashley. I really love what you have drawn in The Diary of Amos Lee, Girls,Guts and Glory.And I have only read this book that you have drawn.What you have drawn was very cute and nice. I like drawing too and I especially like drawing Japanese anime. I have a blogspot website it is www.angel-ashley9.blogspot.com. You can leave a comment there if you want to. Hi Ashley. Glad you like Small dottie eyed Amos as well as Big doe eye Animes :) Happy Drawings. Hi, thanks for replying me! I hope you will continue your drawings and make it cute, cuter and maybe the cutest! I ♥ it! I really appreciate your talent for art! hey!!!! 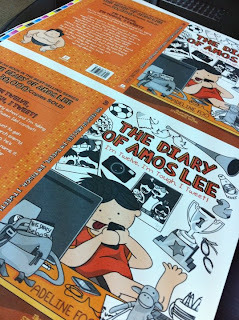 i soooooooo luv what u drawn on the 3rd book of the diary of amos lee!!!! !